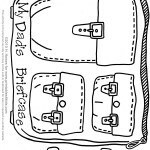 Growing up I always thought there was something magical about Dad’s briefcase and what it contained – everything seemed so important! 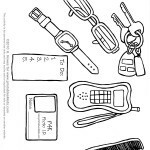 Just in time for Father’s Day, we have a printable briefcase with all the important stuff kids can put in the briefcase like Dad’s keys, cell phone, watch, to-do list, and more. Print one copy of dad’s “stuff”/items. Color and cut all pieces. Glue the bags and handles on either side of a sturdy folder with the crease at the bottom or glue to card stock and staple/glue bottom edges together. Give it to Dad for Father’s Day or birthday. Don’t miss our Father’s Day Toolbox activity, too. How cute is this?? I love it!